Our semi permanent eyelashes are a single false lash individually attached to your own lash. These lashes look very natural & can last up to 2 months with regular maintenance every 2-3 weeks. Cluster lashes that can last up to 1 week. Choose your desired length and thickness. 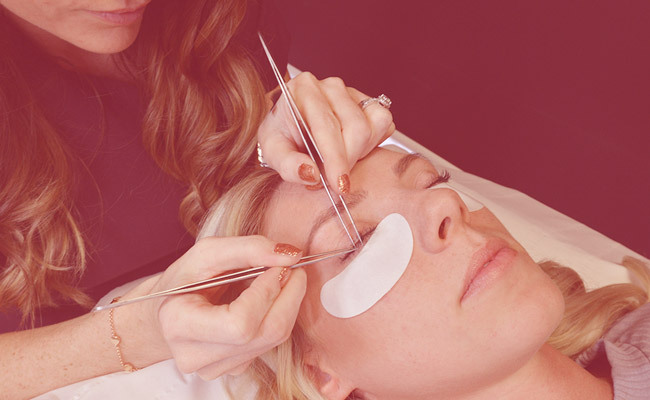 Our Russian volume eyelash extensions are achieved when our lash artist takes multiple lashes (up to 4) and uses them to create fans which are then attached to one natural lash. These lashes are delicate, light and thin so do not weigh down the natural lashes but create a more fuller natural look. Initial treatment time is 3 hours.